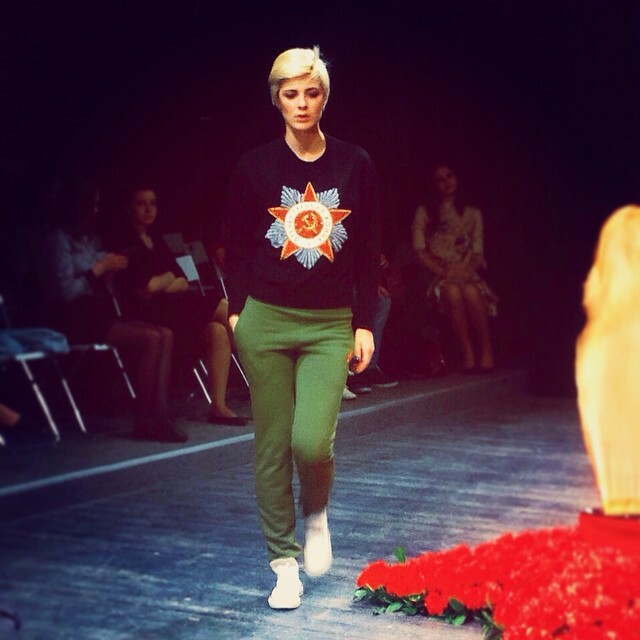 Russian designers prepared Patriotic fashion collections for the national contest to mark the Victory Day. This became one of the most discussed topics on the Internet. 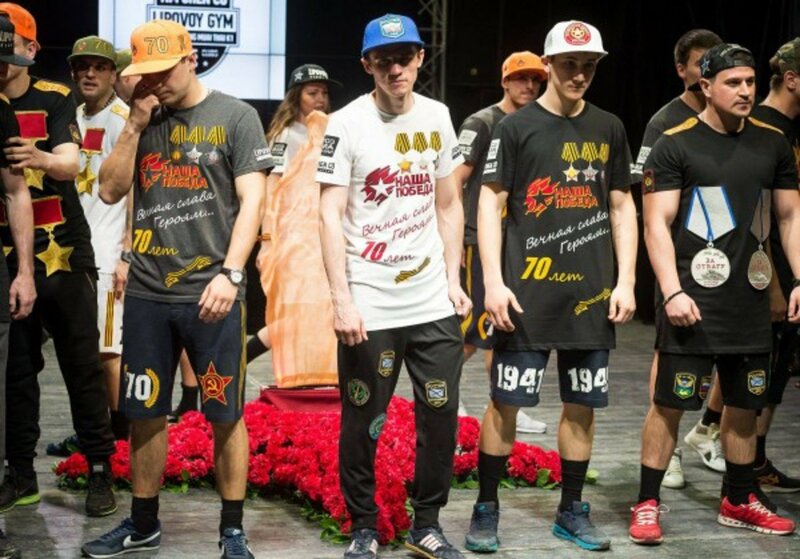 On April 29, in Moscow’s recreational center “Loft”, the contest dedicated to the 70 anniversary of the victory in the Great Patriotic War, took place. 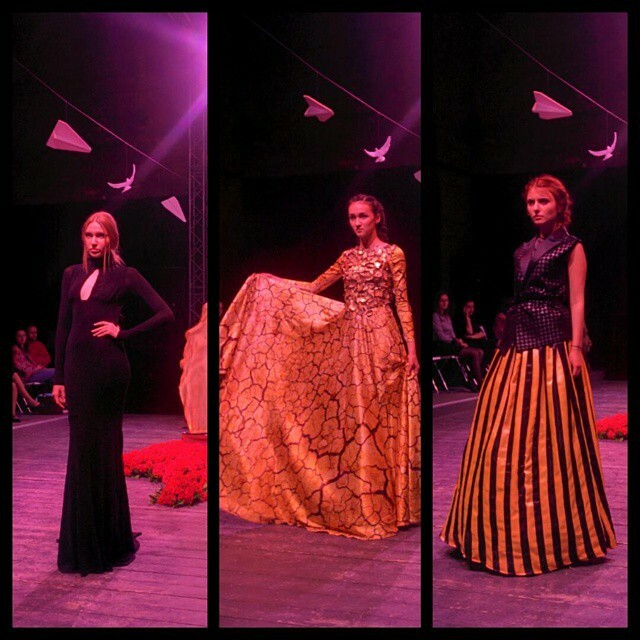 The “patriotic collection” with military attributes was displayed by aspiring designers, including Dima Neo, Alexander Konasov, Kravtsova design, Alex Raos, Mali Dubinskaya and Sensus couture. 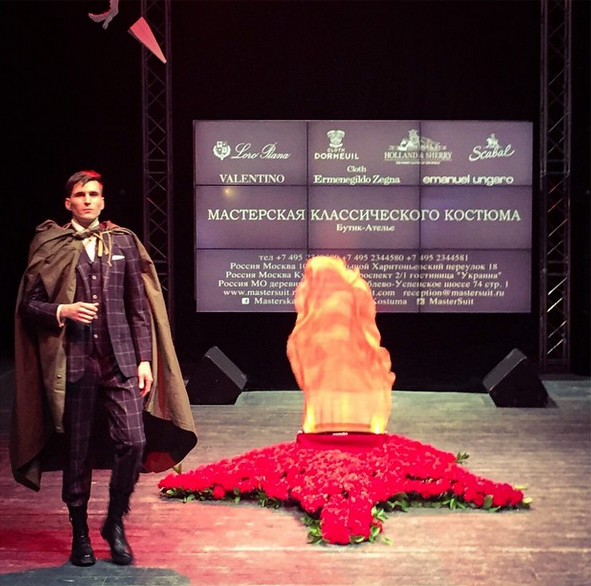 The runway was organized around symbolical “Eternal flame”. The first prize was the grant on tailoring of the presented clothes, informational support and opportunity to display the winning collection in the GUM Department Store. 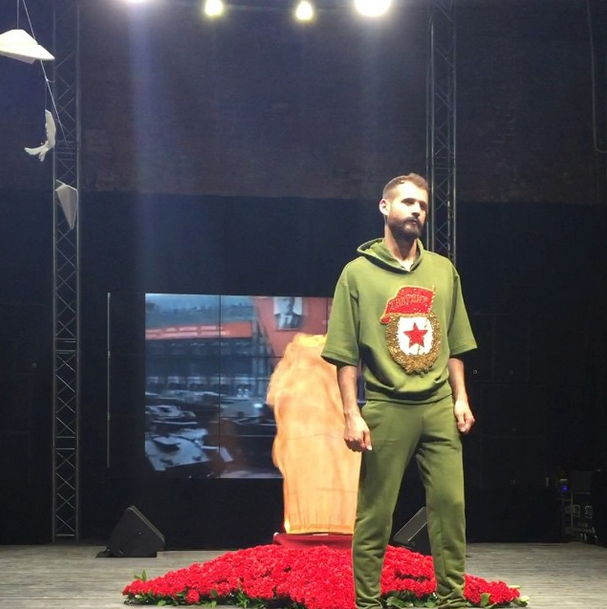 Among the design clothing there were t shirts with prints in the form of WW2 awards, shorts with “1941-1945”, t-shirts with names of Hero Cities of the Soviet Union and a dress with a skirt made from a St.George’s Ribbons. 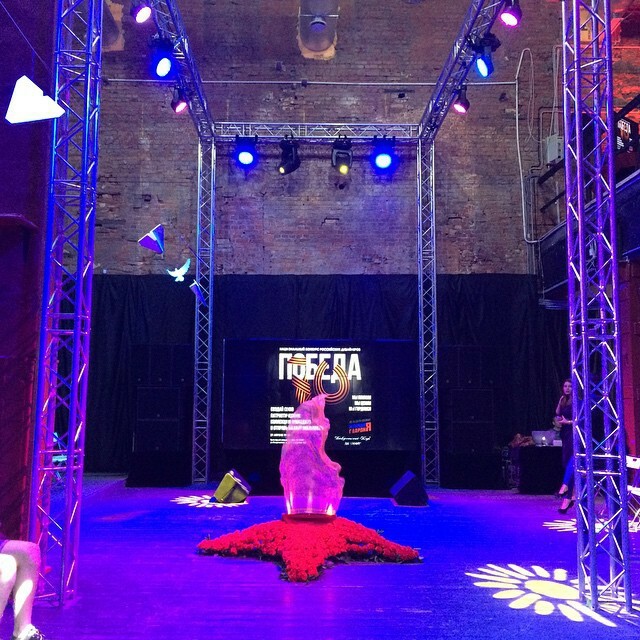 The contest caused a controversy in the Russian segment of Internet. Some called it “inconsiderate and cynical”. 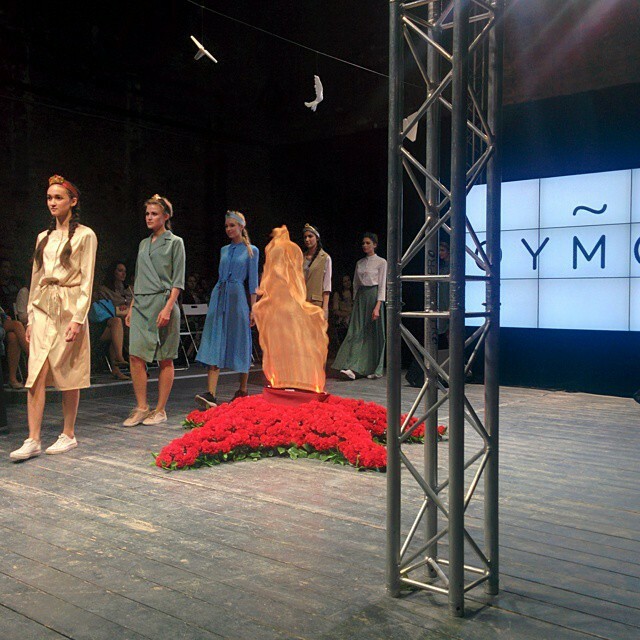 Others, considered the fashion a “typical promotion of historical values among youth”. Это Алек Раос с коллекцией "Города-герои" – еще один из победителей в конкурсе-показе молодых дизайнеров,которых мы с @irinavolodchenko отметили. #70летПобеды #дклофт #лофт #9мая Кстати, их коллекция будет выставлена в ГУМе.